Antifreeze is used in vehicles to prevent components from freezing in low winter temperatures. It is also the name given to liquid used to cool vehicles down during the hot summer. Most people refill their own antifreeze chambers within their cars at home. It is a fairly simple job, and doing so saves money. However, antifreeze does nothing to save the grass if accidentally spilled. In fact, the chemical is a slow grass killer. It is well known that antifreeze kills animals who are drawn to the liquid because of the sweet smell that the chemical has. Antifreeze is also toxic to grass. Home mechanics who do not properly dispose of the empty antifreeze container after use or who spill the liquid while refilling the car can kill the grass by allowing the liquid to contact it. However, antifreeze may not kill the grass immediately. An experiment performed by Selah Intermediate School found that antifreeze slows the growth of grass in small doses. The grasses seemed to lose 30 percent of its height in six days, after six days of being sprayed with the antifreeze. A constant exposure to an antifreeze spill could take days, but the grass will eventually die. 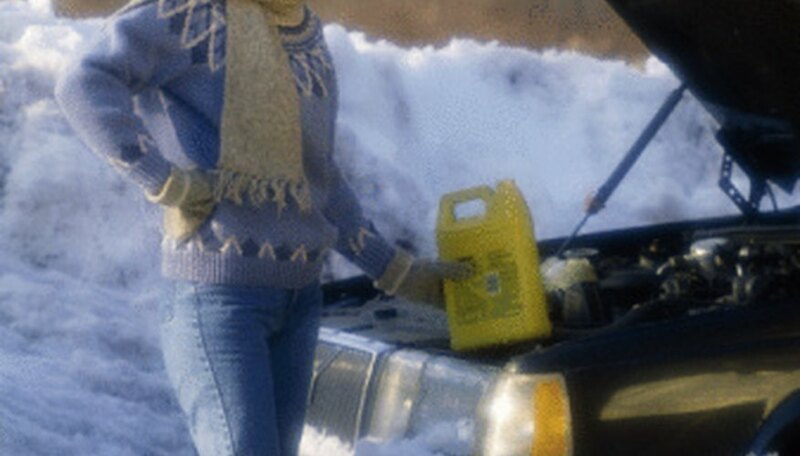 The toxic ingredient in the antifreeze is ethylene glycol. It is colorless and odorless and used in products for heating and cooling. Ethylene glycol contaminates the soil and groundwater, killing plants and even harming humans who consume the tainted water. It is not biodegradable and can cause problems in the soil, hindering or preventing the growth of future plants. Companies are now using recycled antifreeze products to prevent groundwater contamination and plant death. The chemical, propylene glycol, is used in the food processing field as a preservative. It is not harmful to humans and is not harmful to plants. Propylene glycol-based antifreeze has no known affect on grass and should be used in place of the ethylene glycol as antifreeze for your car. Look for environmentally friendly brands and read the active ingredients. Steer clear from the ethylene glycol brands. Antifreeze isn’t the only product that contains ethylene glycol. You can also find it in deicing products used on sidewalks, porches and driveways. When this chemical is spilled on the grass, it can prevent growth in the spring.